Smartphones and tablets have increased in sales and are currently trending in the gadget world. These mobile devices have allowed people to do many things on the go, including surfing the internet. In actuality, these devices access website more frequently than laptop and desktop devices. Thus the One Web approach was born where website creation and viewing of websites possible with any device, desktop, laptop, or mobile device. By “making, as far as is reasonable, the same information and services available to users irrespective of the device they are using”, development companies can offer affordable website design that incorporates the One Web approach. 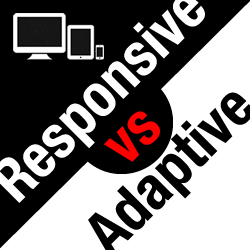 There are two designs under the One Web approach namely, the responsive design and the adaptive design. It utilizes CSS media queries in the modification of website presentation and is based on the device’s display size. The responsive design is advantageous in such a way that it needs only one template to follow when creating a website, not to mention, web developers can make use of familiar languages like CSS, HTML and other familiar technologies. Plus a growing number of toolkits such as Bootstrap and Foundation that help the building process have been made available. Unfortunately, the responsive design requires the site to be completely rebuilt and demands more work in the customization of user experience. What Are Your Data Visualization Needs? Aim for a User Friendly Websites! The Google legit tricks to rank to the top!